We were so excited to be a part of this amazing Spanish Mission photo shoot. The photos really tell the story, prepare for a fairy tale. The amazing team at Belle Soul Weddings hit it out of the park again for us. Thank you Allann and Sage!! This time of year always has us scrambling; rushing to pack and ship orders in time for the holidays, rushing to get gifts wrapped for friends and family, rushing to complete our end of year inventory, rushing up and down I-5 to visit our loved ones. Now that the new year has begun the next rush is on. Our annual local bridal show begins next weekend at the Washington State Convention center which was built right over I-5 where it passes through the center of downtown Seattle. 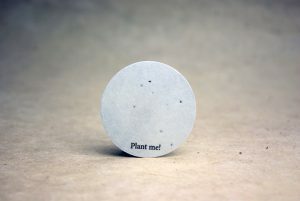 We have new designs to add to our existing line of plantable invitations. We have new equipment going into this bridal season that we bought at last year’s Stationery Show in NY. We have just 7 more days to put the finishing touches on the invitations that we hope resonate with our Seattle customers. Once that show is over we begin building a new (sturdier) crate for the NY Gift Show that runs Jan 31 – Feb 4 at the Javits center. At the end of February we are excited to be participating for the first time in the largest show of its kind in the nation: The SewExpo http://www.sewexpo.com/. We are excited to be part of the show and look forward to meeting many of you there. We are excited to see what these next few months bring but want to give a quick shout out to a couple of our 2014 customers who shared their photos with us. 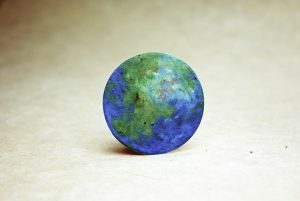 Here is a photo of our Earth Silk ribbon that Heather Edgar sent. She runs her own business: Evergreen Flower Co. of Columbus, Ohio and was kind enough to send these beautiful photographs. Thanks Heather! Earth Silk ribbon on a flower bouquet. One thing we love about the Seattle Wedding Show is the special connections we make with our local brides. We met Rebecca and Thomas at last year’s wedding show along with Rebecca’s mom. They were that couple you meet who you can see married forever, their shared energy and enthusiasm were infectious. We had a great time working with them on all of their wedding plans, this pair was doing it all! They loved that we offered so many do it yourself options as they were planning to do just as much as they could (including making their own rings). After their event they shared their wedding web site with us (which is where this photo is from). You should take a look! 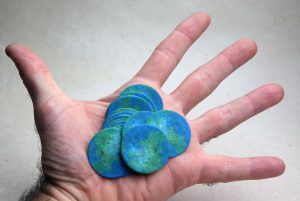 Seattle couple assembles Of The Earth invitations at home. Inside of seed paper holiday card. I love giving a beautifully packaged gift but struggle with the potential waste produced by feeding my pleasure in that. 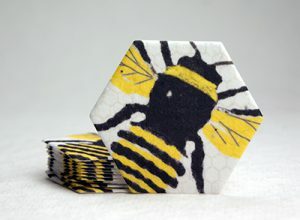 Being a paper maker and ribbon artists I am surrounded by beautiful products and ever expanding combinations of colors, flowers and materials. This year I have some new items to add to my packaging arsenal. 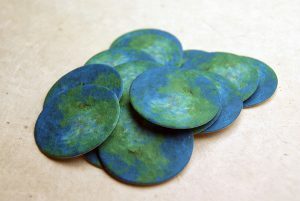 Plantable gift tags printed with beautiful water color designs. 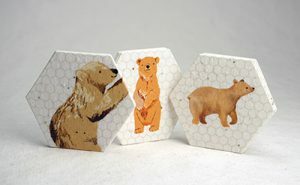 Not only are they functional but they will biodegrade and produce an array of wildflowers. 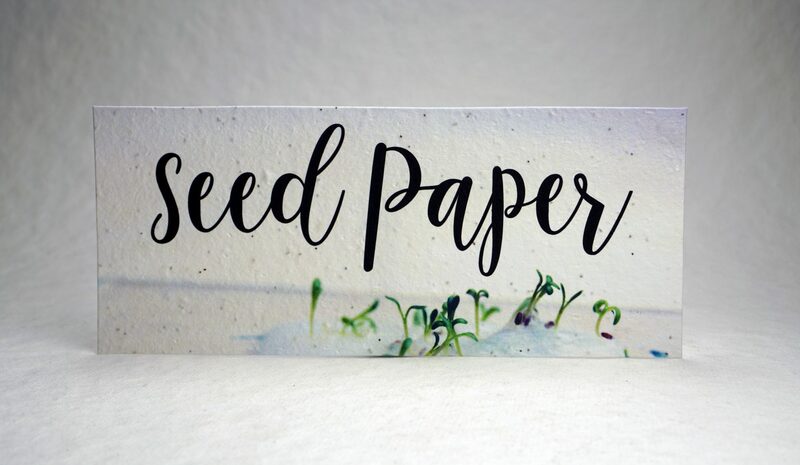 These tiny seed paper tags are printed with a watercolor reproduction of four of the flowers that will sprout from this paper. Three each of the four prints are included in each package for a total of 12 cards priced at $3.50 a set. 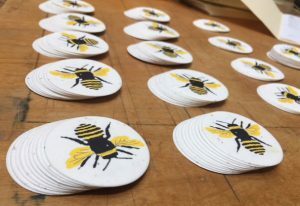 They measure 2.25″ tall by 1.25″ wide, and look lovely attached to a wrapped gift, bundle of bake goods or tucked into a bouquet of flowers being delivered to a friend.